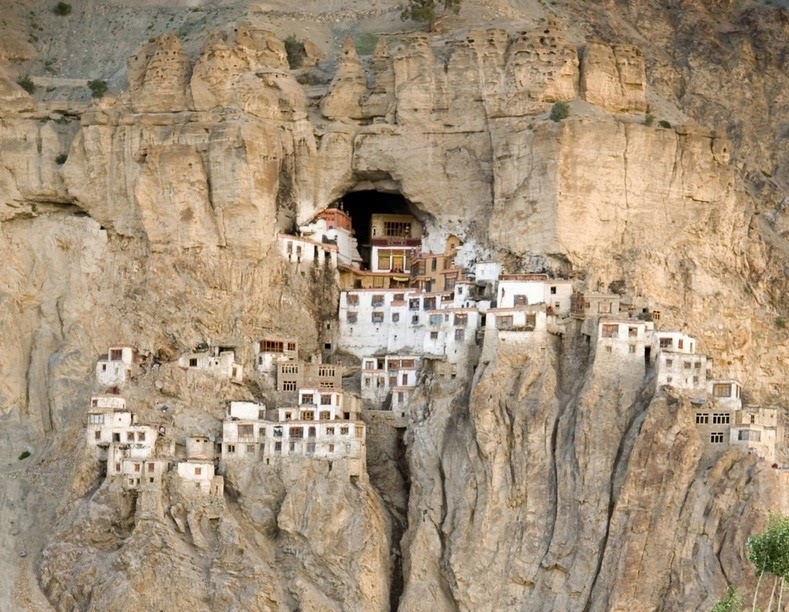 Shingo La (5050 meters) is a favored trekking destination for trekkers in Ladakh. One of the most popular treks, it can be completed in a little over a week and climb to Shingo La is a difficult but rewarding experience. 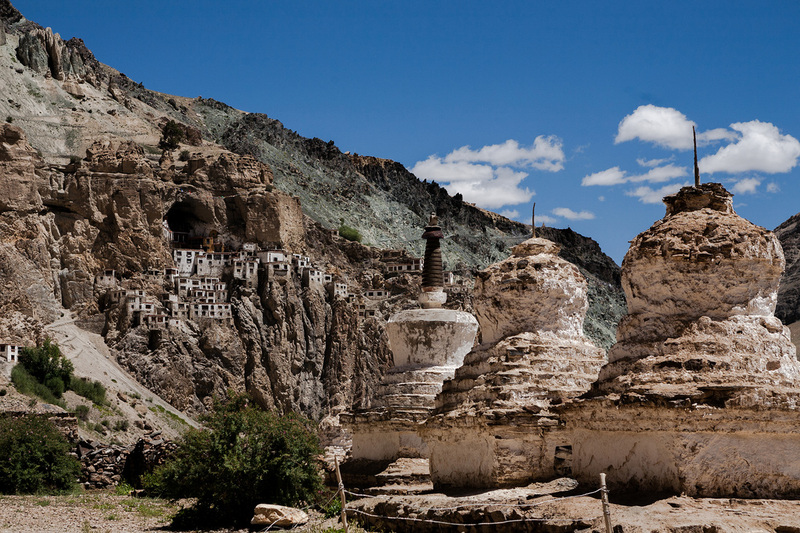 Add a combination of Budhist Monasteries, plethora of campsites and settlements as well as views of Zanskar make it a coveted destination. We cross the Himalayan Range of Zanskar and cross over to Lahaul and Kullu Valley. Currently Indian Government is considering to build a road over Shingo La, which is stipulated to complete within a few years. Shingo La is open from June to early October and remains snow laden for most part of the year. The trek can also be done in reverse from Darcha (Manali Side) towards Padam. There is a shallow lake below the pass. The pass is on a long-distance footpath linking Zanskar and Lahaul, used often by locals and trekkers alike. For trekkers it is one of the technically easiest 5000m passes in Indian Himalaya, involving no glacier trekking nor steep climbs. There is snow on the pass all year round, although in the summer only a small stretch of snow has to be passed. The valley below Purne is Kargyak and houses a number of settlements and villages. We will get a chance to walk over snow laden fields and glaciers. As we head down towards the river and cross the bridge, the trail slowly ascends above the river. We cross a settlement and reach the fertile plateau and village of Tetha. Will stop over for rest and lunch before heading towards a well marked trail among beautiful views and Shanti Stupas welcoming us on the way as we reach Karu. Where stone walls are lined to direct visitors towards the trek which serves as a double purpose to protect against unwanted animals in the fields. A few kilometers ahead we cross over the river over a bridge towards Tanze village. There is a willow plantation done on a large scale in an enclosure sponsored by the J&K Forest Deptt. 4 Kilometers gradual walk and we reach the village of Kargyak, which is the highest permanent settlement of Zanskar Region. We stay in a guest house and enoy lovely home cooked meals as well as enjoy the beautiful pastures and views below the village along Kargyak River. After breakfast we proceed towards our journey to Shingo La. Ten Kilometers ahead from Kargyak we get to enjoy the splendid view of beautiful and majestic huge rock peak of Gumburanjun. A mountain entirely formed by white granite which is speculated to be 22 million years old. It is not recommended to go too close to the peak due to rock falls. From here to the south the valley in enclosed by the snow peaks of the Himalaya Range. The landscape is compared with Morocco or the Andean Altiplano. We get to know we are in Himalayas through the Buddhist Prayer Flags and Chortens. We cross the green pastures covered in wild flowers. Few kilometers ahead we get to cross another river and then Gumburanjun and then we finally reach Lakong. We pitch our tents our crossing a small rock bridge at a beautiful camping site offering unparalleled views of the valley and the Himalayan Range. Today will be a long and challenging stage of the trek as we have to climb the pass. We will be crossing the great himalayan range and as a reward will get to enjoy the magnificent views of peaks above 6000 meters on the backdrop of hanging glaciers and vast snowfields, which offer a contrasting view from the barren landscapes of the Zanskar Valley. 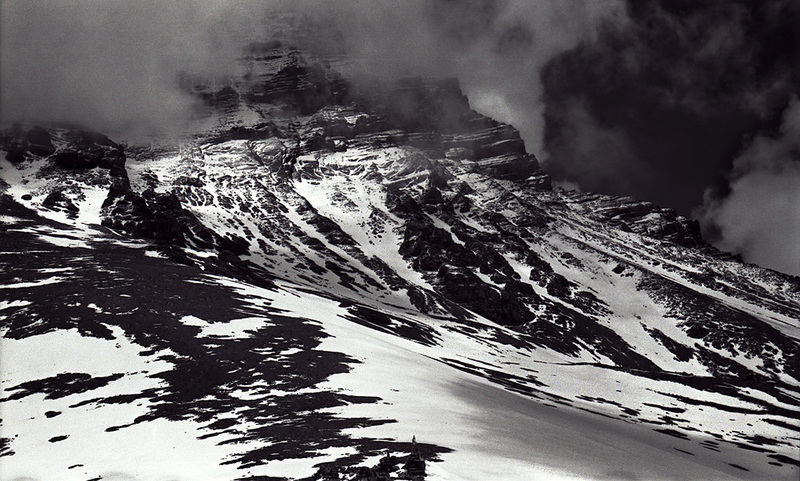 As we climb steeply up over a snow laden ridge and a meadow to reach the base. We cross a river crossing over icy cold water in our folded pants. In another 2-3 hours we will be able to reach Shingo La top while cross the snow laden fields, scree slopes and moraine. The view from the top is breath-taking. Rock Cairns and Prayer Flags mark the Pass. There is a small lake immediately below the pass, the pass is snow laden and views are unparalleled. o the north, lie the Zansker mountains while to the south, the Lahaul range appears with sudden impact. There is a steep 400 meter descent along ice and moraine over the glacial floor. Another 5 kilometers on the right along the valley we reach our campsite Rumjak (4400 meters). Today will be an easy day as we camp at not so far site of Jankar Sumdo, which is at a 5 kilometer descent from Rumjak. We cross scant vegetation and scree slopes and reach our camp site in 3-4 hours. Enjoy during the day as we camp here. Today will be the last day of our trek. After breakfast we will head down towards the broad glacial valley. We cross the bridge over Darcha River and then continue our trail along boulder fields and crossing river streams as well as green pastures. We cross a stone bridge over a riverand descent down towards Rarig Village. Our jeeps would be waiting for you to transport to Darcha and then further to Leh or Manali.